In a series of tweets, Vijay Mallya said he had offered to pay back 100% of the principal amount to banks and the government, but his offer was turned down. 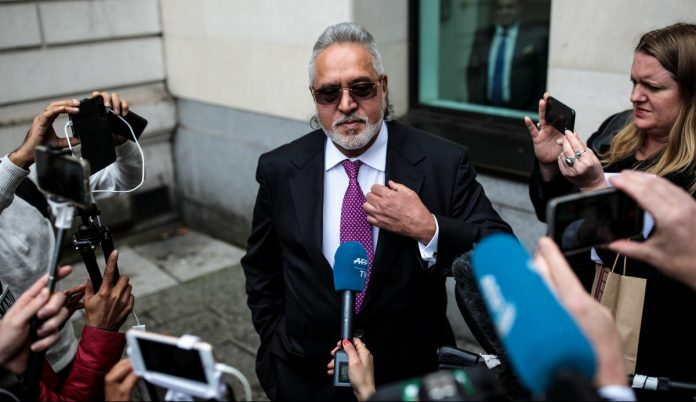 New Delhi: Embattled liquor baron Vijay Mallya, who is under investigation for fraud and money laundering, and is a fugitive in London, appealed to Indian authorities Wednesday to “please take” his offer of repaying 100% of the principal amount he owes. In a series of tweets, he claimed he wasn’t being treated fairly and questioned why this offer of paying back the principal to banks was being refused. Mallya is accused of defaulting on bank loans to the tune of Rs 9,000 crore, as well as diverting some of the loan amount, by the Enforcement Directorate. Mallya fled the country for London in March 2016, with investigating agencies claiming he left under suspicious circumstances. His lawyers, however, argue that he left in normal course and before any case was registered against him.